Our mission is to be the best in the world at providing integrated and innovative gold investment service solutions, creating value for all our customers. [Our] Islamic Investments offer savings and investment products with a primary focus on serving Islamic finance. 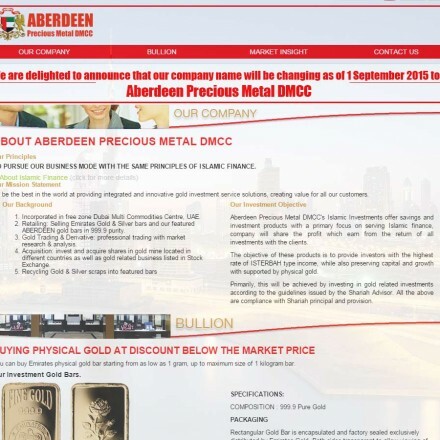 Aberdeen Precious Metal DMCC are a Dubai-based bullion dealer and investments house, providing full-service bullion investment; ie retail purchases, trading and derivatives, mining shares and acquisition and scrap gold recycling services. Alongside this they provide Islamic investment services under full Shariah guidance and utilizing Isterbah income. 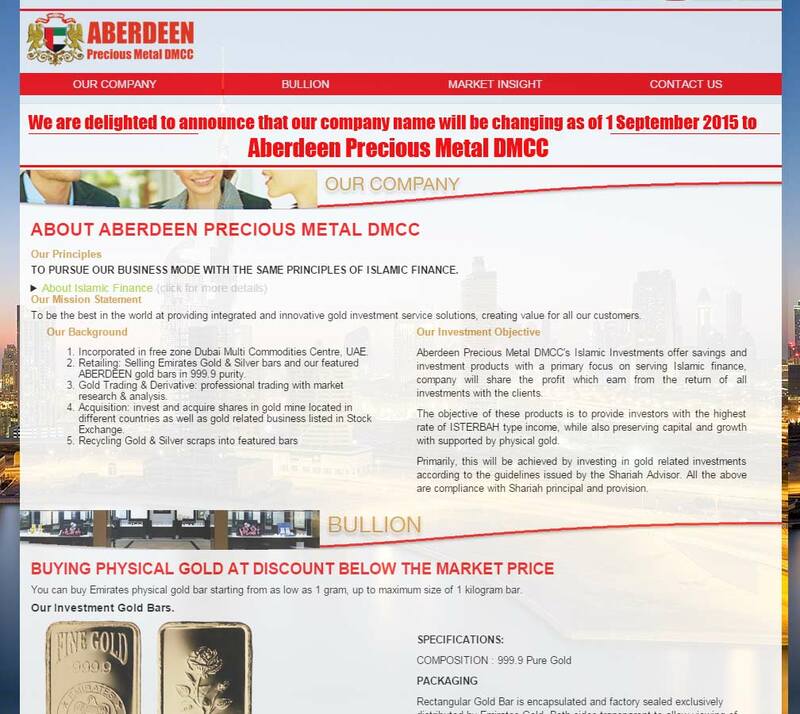 When doing business with Aberdeen Precious Metals - please say you saw them in Bullion.Directory. Read or add Aberdeen Precious Metals reviews and ratings using the "reviews" tab above. All Aberdeen Precious Metals details are believed to be correct at the time of listing. Please report errors here.